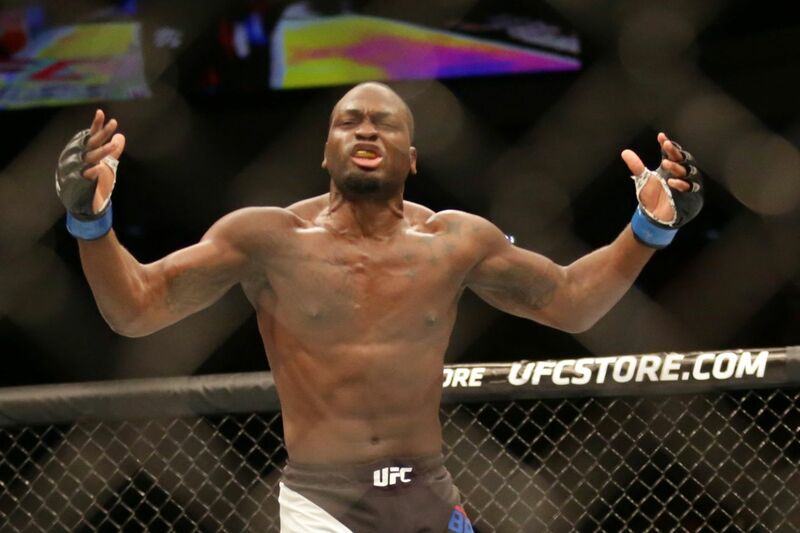 Derek Brunson’s five-fight winning streak is no more after he suffered a first-round technical knockout (TKO) loss to Robert Whittaker in the co-main event of UFC Fight Night 101; which went down last night (Sat., Nov. 26, 2016) in Melbourne, Australia on Fox Sports 1. Understandably so, Brunson was visibly upset, but still put on his best face to face reporters for the customary post-fight press conference via Submission Radio. Admittedly, Brunson says his mistake was throwing caution to the wind and forgetting about his gameplan, which ultimately proved to be his down fall in the thrilling one-round bout (video replay here). Brunson, now 32, will go back to the drawing board in an effort to begin a new streak in order to get himself back up the ranks and force himself into the title conversation once again.